Cross-site scripting attack also called as XSS attack, is a security vulnerability found in Web applications. XSS allows hackers to inject client-side script into Web pages, and later, if that web page is viewed by others, the stored script gets executed. The consequences of XSS may range from a petty nuisance like displaying an alert() box to a significant security risk, like stealing session cookies. Let's understand cross site scripting attack with an example. We will be using table tblComments for this demo. Create an asp.net mvc 4.0 application. 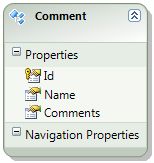 Right click on "Models" folder, and add ADO.NET entity data model, based on table tblComments. Change the name of the entity from tblComment to Comment. Build the solution, to make sure "Comment" model is compiled. Click "Add". This generates the HomeController and the required views. 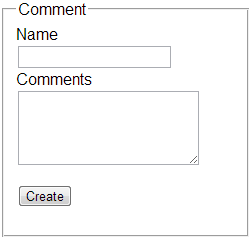 The above change is to display a multi-line textbox for entering comments. Depending on the project requirement, there may be legitimate reasons, to submit html. For example, let's say we want to bold and underline a word in the comment that we type. To bold and underline the word "very good" in the following statement, we would type a statement as shown below and submit. 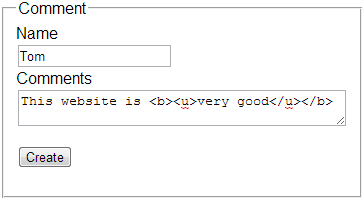 To allow this HTML to be submitted. We need to disable input validation. When we click the "Create" button on "Create" view, the "Create()" controller action method that is decorated with [HttpPost] attribute in the "HomeController". To disable input validation, decorate Create() action method with "ValidateInput" attribute as shown below. Now click "Create". Data gets saved as expected, and the user is redirected to Index action. On the "Index" view, instead of rendering the word "very good" with an under-line and in bold, the encoded html is displayed as shown below. By default asp.net mvc encodes all html. This is another security measure in place, to prevent XSS attack. To disable html encoding, make the fllowing change on Index.cshtml view. Navigate to Index view, and notice that, the word "Very Good" is rendered with an underline and in bold. The following 2 changes that we have done has opened the doors for XSS. So, in short, by allowing HTML to be submitted and disabling HTML encoding we are opening doors for XSS attack. In our next video, we will discuss preventing XSS while allowing only the HTML that we want to accept.